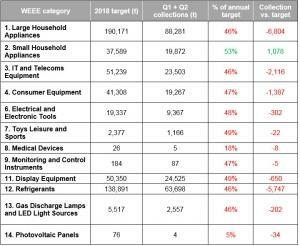 Defra has released the WEEE collection figures for Q2 2018, revealing a continued struggle to meet the reduced targets that was first highlighted in the Q1 results. With the one exception of Category 2 (Small Household Appliances), the collection rates of all other categories are below 50% of their annual targets, indicating that there is increased pressure to make up for this shortfall throughout the rest of the year. The table below illustrates the scale of the problem, with categories 1 (Large Household Appliances) and 12 (Refrigerants) providing most cause for alarm with deficiencies of 6,804 and 5,747 tonnes respectively. Many other categories are not far from the 50% level, giving hope that they can ultimately meet the annual target by the end of the year. 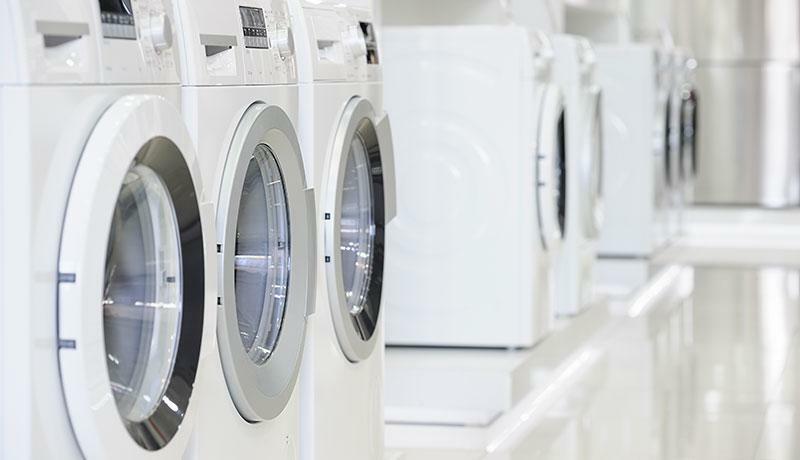 The fact that the results are falling short of the targets indicates that there is a shortfall of WEEE evidence available for compliance schemes to purchase, adding pressures to the market as demand outstrips supply. This has already increased prices compared to 2017 as some schemes struggle to meet their obligations.